The British have never been known for their sensitivity to issues of ethnicity or nationality. This week has already seen excruciating blunders by the organisers of the Olympics. Joe Allen, a footballer from Wales playing for Britain, suffered the ultimate insult of being described as an Englishman in the programme. He then refused to sing the UK National Anthem (composed by Henry Carey, a paranoid 18th-century songwriter who subsequently committed suicide). The North Korean women’s football team walked off the pitch in Glasgow after the big screens displayed the flag of South Korea, with which nation North Korea is still officially at war, since no treaty was ever signed after the 1953 armistice. But the most embarrassing debacles have been over security signs and ‘welcome’ signs in Arabic printed backwards. Several important rail stations, including King’s Cross and St Pancras International, displayed notices in this bizarre inverted script warning travellers not to leave baggage unattended. 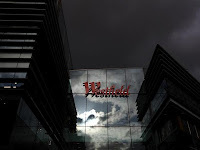 And Westfield Shopping Centre in Stratford, London, which is at the epicentre of Olympics activity, hailed Arabic speakers with the equivalent of NODNOLOTEMOCLEW (‘Welcome to London’) blazoned across banners and on the T-shirts of the mall staff. Some people customarily write or speak backwards, either because they are geniuses (Leonardo da Vinci, Mozart) or because they have a learning difficulty. In the inverted world of Alice Through the Looking-Glass (1871), the book in which the ‘Jabberwocky’ poem is inscribed is, of course, in mirror-writing. So just for a minute, let us try giving the benefit of the doubt to the administrators responsible for not being able to locate a single Arabic-speaking Briton (there are about a million of them) to check these signs. In archaic Greece, for example, you could write backwards or even backwards and forwards (‘ox-track’ writing, boustrophedon, like cattle ploughing a field). 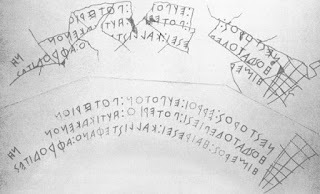 Perhaps the backwards Arabic is a coy reference to the origins of the Olympics? But the most charitable explanation is that the signs are a covert invitation to all Arabic speakers to try the revolutionary new sport of running backwards, which I am about to take up. The world champion is Garret Doherty, 33, from Dublin in Ireland, who, astonishingly, can run a seven-minute mile backwards and has recently won the world championship for the third time in succession. Is there anyone out there willing to share my new hobby with me? 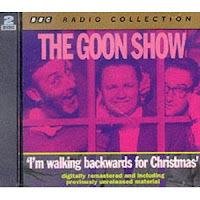 At next year’s championships we can substitute for the dreadful National Anthem the far superior Goons’ song, “I’m walking backwards for Christmas, across the Irish Sea” (lyrics available at www.thegoonshow.net/songs/im_walking_backwards_for_christmas.asp). The backwards Arabic is awful, though. I cringed just reading that; it seems such a typically British blunder to make. 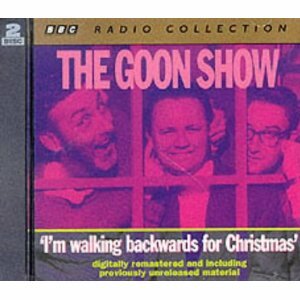 Your blog is fabulous reading, I'm already a fan (anyone who quotes the Goons!..) though I have to admit, I'm a 2012 KCL Classics graduate so I was deliberately pointed here by one of the London Classics Mafia! Thanks for the moral support, Roisin! It's slightly more confusing than that: the letters are actually facing the right way, but they're written in the wrong direction, so the words are spelled, rather than printed, backwards - i.e. 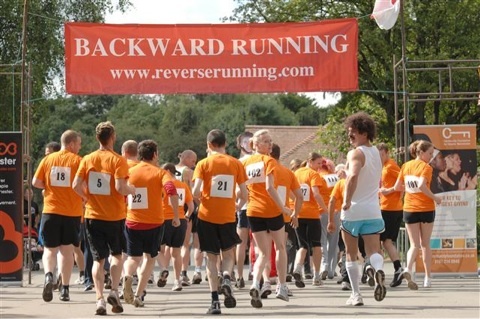 backwards not mirrored. S D R A W K C A B - like so. That might make it easier to read, but for the fact that additionally the same fault in rendering the fonts (somewhere these signs have gone through a computer not properly set-up to handle right-to-left languages) has also led to the normally cursive and connected letters being broken apart and rendered individually in their standalone forms, normally only seen in isolation as part of abbreviations, on license plates, and so on. The effect is to make word boundaries much harder to identify, even if you can adjust to the wrong direction. Thanks so much! I must learn Arabic as soon as I retire from the day job!